"Dr. Kim is caring and I have faith in her expertise." "Dr. Kim was a breath of fresh air as a physician not only was she professional, but she was kind & listened to my concerns. " "She is so kind and so informated in putting me at ease." "I have already recommended Dr. Kim to a friend who experienced a similar diagnosis. 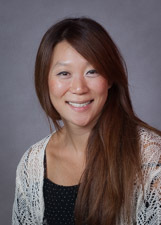 Dr. Kim is very professional & caring at the same time." "My doctor was very reassuring. She really put me at ease. The facility has restored my faith that breast health need not be traumatic." "Dr. Kim was friendly, professional, easy to understand and caring. excellent doctor." "Dr. Kim is so amazing!" "i had doubts at the beginning when my surgeon left and dr kim replaced him. but, she has been incredible. gained my trust and respect quickly. very caring and compassionate person." "I would highly recommend Dr. Kim to others. She was very helpful and informative during my office visits. I felt very comfortable being under Dr. Kim's care." "excellent doctor, loved her. explained everything thoroughly and put me at ease. I felt I was in very good hands"
"Sat with me and made me feel calm & informed." "Dr. Kim explained the process from beginning to end. I knew what to expect on day of surgery and before." "I would highly recommend Dr. Kim"
"She was kind and thorough in her exam and in explaining all options to me." "i was hesitant after my surgeon, dr alberti, left. but, after i visited dr kim, i felt very comfortable with her. she is a caring person, and is very good in explaining everything." "Physician was courteous, friendly and seemed interested about my concerns." "Dr. Kim was very helpful w/all my needs & esp. in my concern after surgery - was able to see me immediately to ease my concerns." "This was the first time I met Dr. Kim and I was so very impressed by her. She was warm and compassionate and explained everything to me in detail." "I would definitely recommend any one I know to Dr. Kim and Staff."